What is the origin of the Lowchen? 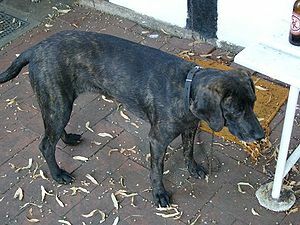 The Lowchen originated in Southern Europe and may be the rarest purebred dog in the world. It has been seen in ancient tapestries and in a Goya portrait of the Duchess of Alba. Well-known in France and Italy, it came to the U.S. recently. What does the Lowchen look like? This little Lion Dog is 10-13 inches tall and weighs 9-18 lbs. It has a short head with a broad skull and a black nose. Eyes are round and dark. Ears are feathered and pendant. The tail is medium long. The coat is long and wavy. Colors are white, black, lemon, sometimes speckled. 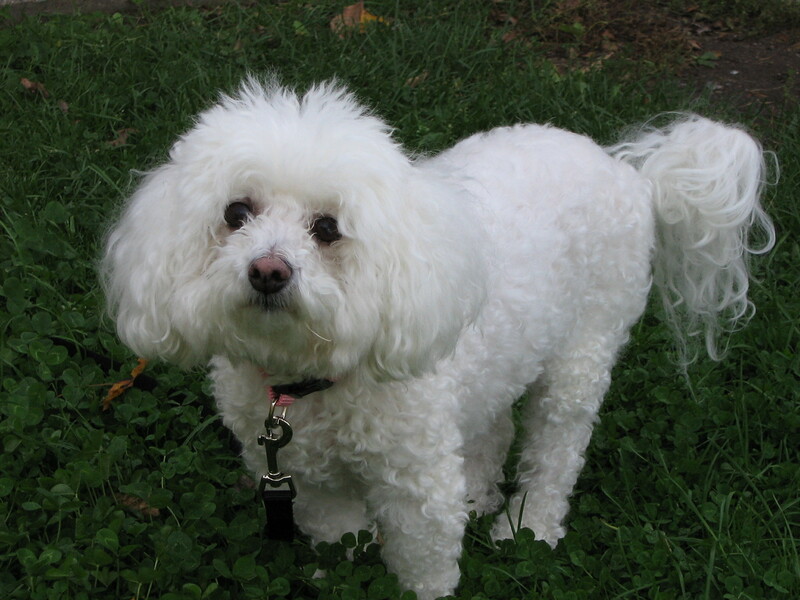 The Lion Dog’s coat is sometimes clipped like that of a toy poodle, from the middle of the body to almost the end of the tail. 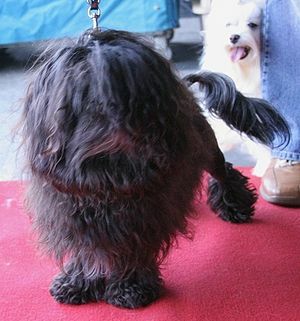 Long hairs are left at the end of the tail giving the dog a lion-like appearance. Frequent brushing and combing are required. What is the temperament of the Lowchen? Kind and affectionate, the Lowchen is an intelligent, cheerful dog. Lively and playful, the Lowchen gets along with other pets. Housetraining requires a lot of patience. They can be good with calm, older children. They should be socialized extensively to avoid shyness. Lowchens can be very destructive if left alone for long periods. Obedience training should be positive. Lowchens need daily walks on a leash. What is the Lowchen used for? 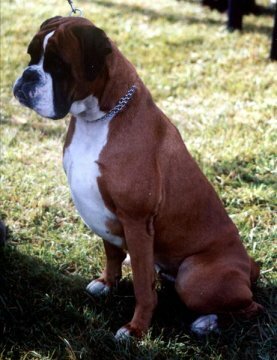 Lowchens do well in obedience and agility trials. This Little Lion Dog is a loving companion, but will protect its family by barking. Patellar luxation, progressive retinal atrophy, cataracts.